One of the best anime I have seen, and I don't say that to all the good anime I have seen so far. Released in 2005, Blood+ features monsters known as Chiropterans who can change their appearances to that of humans, and feed on the blood of the living. The Chiropterans are being hunted by a group known as Red Shield. The heroine in Blood+ is Otonashi Saya, a high school girl who lives a peaceful and happy life with her family, making it look like she is your average high school girl at first, but she has no recollections of her life apart beyond the past year. Also, things seem fine until an event takes place, leading to her destined fate: to defeat Chiropteran using a katana that has an indentation running through it which holds her blood. If you're wondering her blood must be used in order to kill them, it's because her blood has the power to turn Chiropteran into stone and kill them. Like Code Geass (in my opinion), when you think the anime is at its peak, it just gets even better. Everything is balanced perfectly, from the fights to the drama. 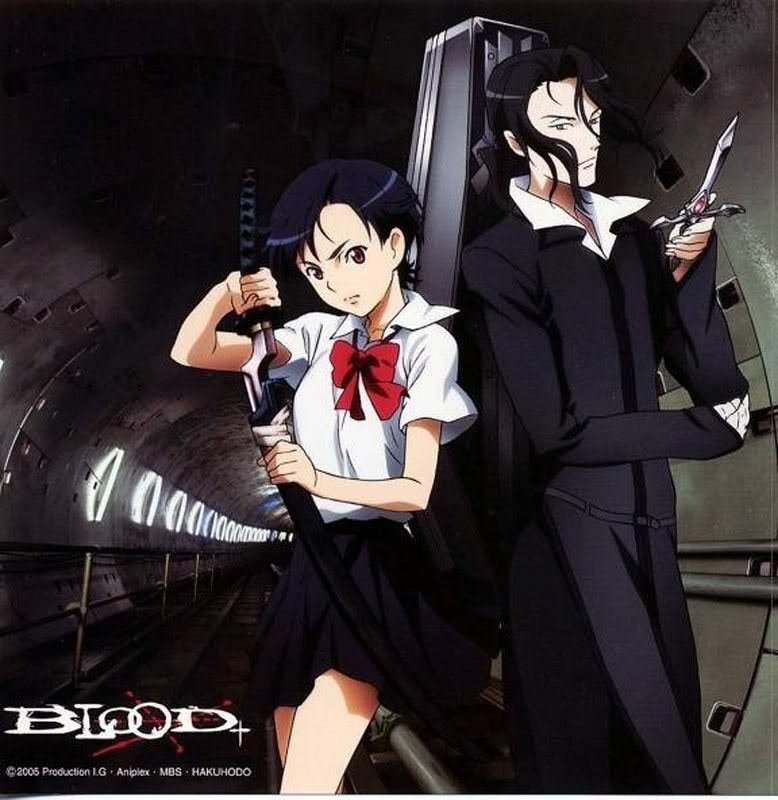 It does kind of mess with your head at times which keeps you on the edge of your seat as you watch, but the story does come full circle in its 50 episodes, and you'll get to know more about Saya and the Chiropteran for example. The ending is just perfect too, and when I thought that the first ending song should play, it did. This anime never ceases to amaze. Could it get any better?